Founder of Southend Fertility and IVF, Dr. Sonia Malik has over 32 years of experience in obstetrics, gynaecology and fertility. 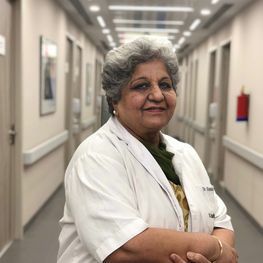 Her areas of expertise include reproductive endocrinology and immunology, genital tuberculosis, advances in assisted reproductive techniques (IVF, ICSI, IMSI) and premature ovarian failure. A veteran obstetrician and gynaecologist with specialization in ART and IVF, she has helped Southend become one of the leading names in fertility and IVF in India.